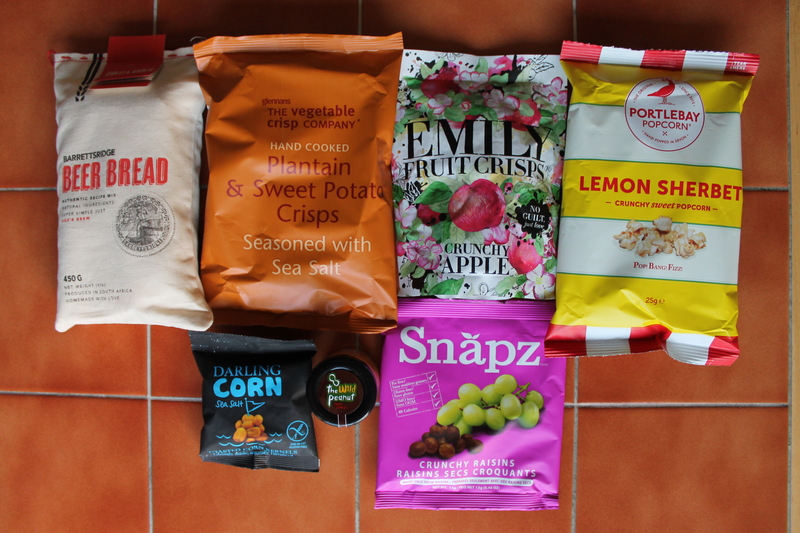 The new Flavourly box – Tasting the World – On the road, with stuffed hand luggage and face. Camera in my hand. 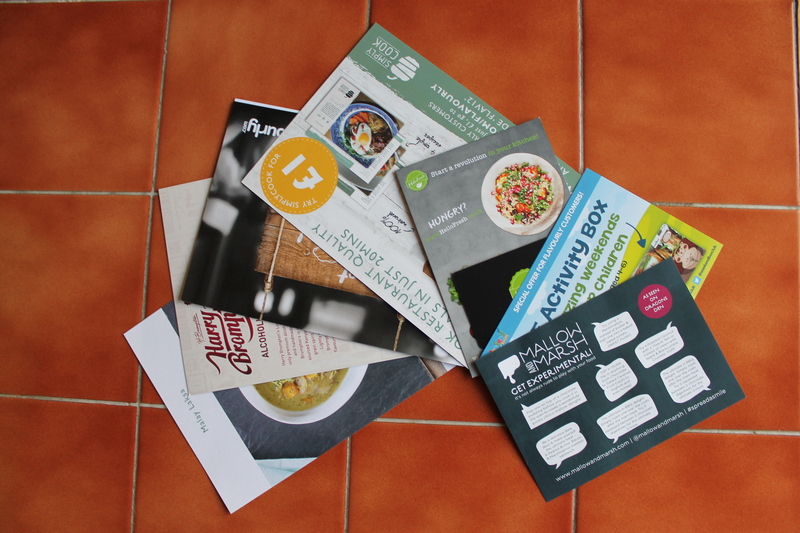 The latest Flavourly box came actually more than two weeks ago, but it is only now I have some spare time to write a post about it. So what was in this box? Chilli and garlic flour mixture for beer bread, by BarrettsRidge. Comes in a pretty cotton bag. I am a happy owner of a bread-making machine, so I usually bake my bread there, but with this one I will gladly try to bake it “normally” in the oven. Hand cooked plantain and sweet potato crisps seasoned with sea salt, by Glennans. I liked these, it was a nice alternative for normal crisps. Emily fruit crisps – crunchy apple. I like dried fruit and this pack will serve as a healthy option when I´ll have that craving for something little. Lemon sherbet crunchy sweet popcorn by Portleby popcorn. A tasty variation of sweet popcorn. Salted corn kernels. I have already described them in one of my previous posts. Peanut and fiery chilli gourmet peanut butter by the Wild peanut. I will try it on bread, I am curious about the taste. Crunchy raisins by Snapz. I don´t really fancy raisins, but these don´t have that strong raisins taste, so I will mix them into a pot of yoghurt for one of my office breakfasts. Three roasted coconut marshmallows. On the package they suggest to dip the marshmallows into yoghurt, so they will go with me to the office as well. Naturally Righteous Raspberry and sweet basil dressing. I´m gonna try it with some salad. Although I can´t imagine the mixture of tastes. There are some suggestions in the Meet the makers guide, but still… any ideas what it could go well with? Harry Bromptons alcoholic ice tea. It was quite nice, would be good for drinking with friends. Malay Laksa spice pots. I have already received these before, but never really tried them. Any recipe suggestion? info card from Mallow and Marsh with suggestions of how to eat the marshmallows. Can´t wait for the next Flavourly box! 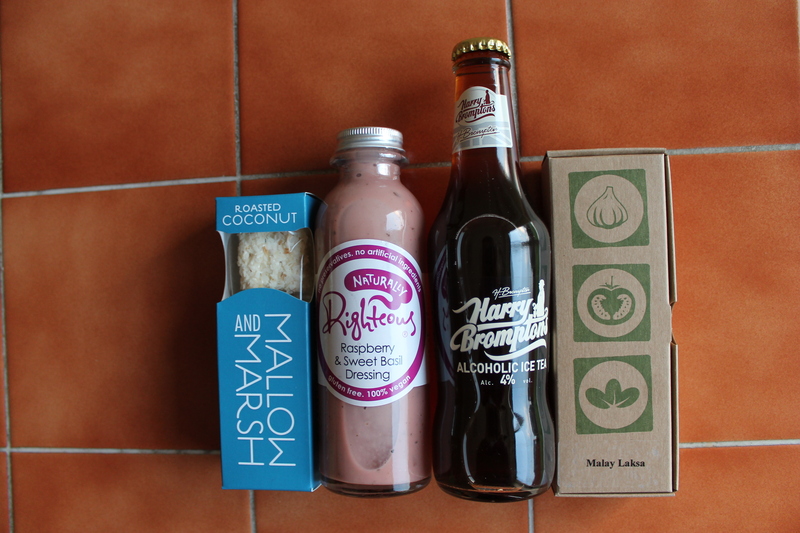 Next Post A brand new Flavourly box!